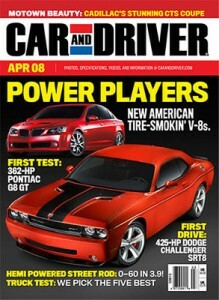 Grab a Car & Driver Magazine for $3.99 from Tanga using coupon SOUTHERNSAVERS! You can order up to 5 years at this price. With Car & Driver Magazine you’ll learn about the newest automotive technology, news, and more. Please allow 8-14 weeks for delivery. This is perfect timing for a Christmas gift if you have a car lover in the family! Remember, this deal is valid today, 10/16, only.